Need to test on the latest iOS version? Don't panic, Sauce has you covered! It’s that time of year again when Apple prepares its customers for the next generation of devices. The launch always includes a preview of awesome devices like the iPhone 8, iPhone X and updates to its latest and greatest operating system, iOS 11. Every year, companies that develop apps for iOS devices seem to go through a Groundhog Day effect: how can we ensure that our apps work on the newest iOS release? Sauce Labs works with thousands of companies every year and we pass on similar advice: don’t panic, you’ll be fine. In fact, we announced on September 19th the availability of iOS 11 on our Real Device Cloud. What Devices Do I Really Need to Test On? 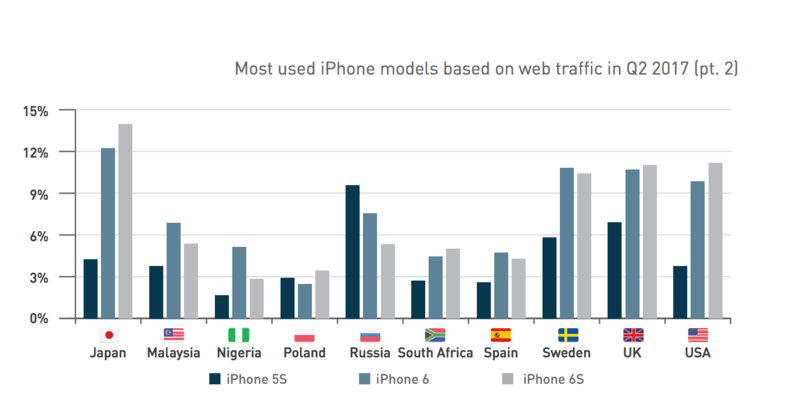 According to a 2017 worldwide survey by DeviceAtlas, iPhone 6 is still the most widely used device. 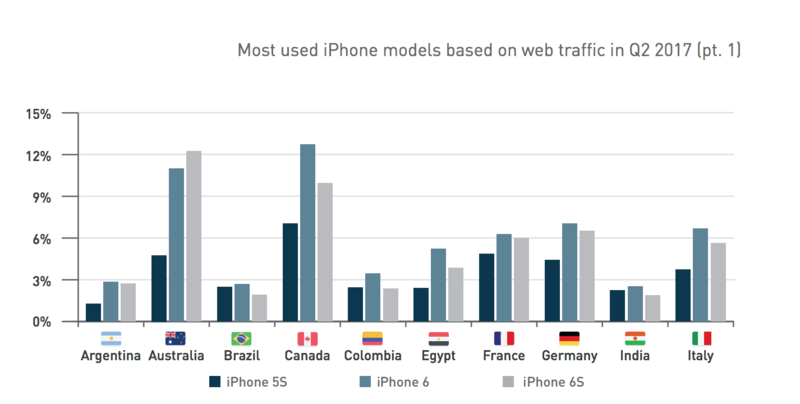 iPhone 6 is currently the most widely used iPhone model, leading in 13 countries out of 20. iPhone 7 was most popular in Japan, Australia, USA, Sweden, and the UK. For more information on a real device testing strategies for iOS apps, check out the Sauce Labs 2017 Mobile Testing Guide. Let’s start with the good news. Sauce Labs Real Device Cloud supports iOS 11, and we’ll be adding simulator support in October, 2017. This means that teams will be able to test on iOS 11 for all the Apple mobile devices that support it, including the iPhone 8 and iPhone X models. We recommend that organizations test their iOS apps with a healthy mix of simulators and real devices. This ensures that teams can implement continuous test automation strategies without creating bottlenecks for continuous integration and delivery. If you’re using XCUITest (the mobile test automation framework), you’ll automatically have the necessary tools to support your iOS test automation strategy. The key advantage of using XCUITest and the XCode project is that you’ll instantly have the ability to create automated tests for iOS 11 on day one. Also, the latest release of Appium (v1.7) now supports iOS 11. This is a great for any team using the Appium framework for continuous testing and automation. It also gives teams a single framework for testing both iOS and Android (think Android Oreo) apps. Every new iOS release brings testing challenges. The best way to handle change is to know what options are available, and realize that there’s nothing to fear. Adoption isn’t immediate and will take time. However, the testing tools and frameworks are doing a great job of keeping up with the pace of the new releases. Visit https://saucelabs.com/enterprise#mobile-testing to learn more about testing iOS applications on real devices and simulators. Discuss: Need to Test Your App on iOS 11?